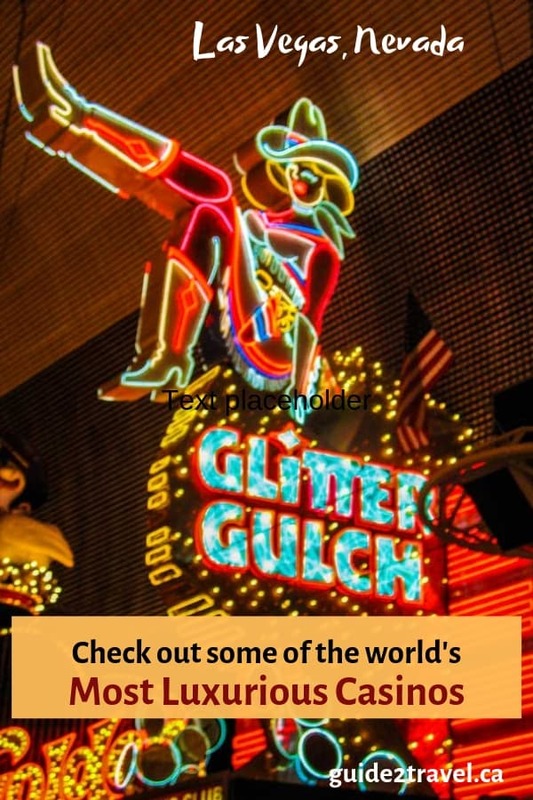 Which casinos are the world’s most iconic? We’ve chosen five tantalising casinos to whet your appetite. Each is located in a far-flung corner of the world and guaranteed to thrill, and if this is beyond your budget right now then you can always get in some practice online too. Skyline of Macau, the Las Vegas of Asia. 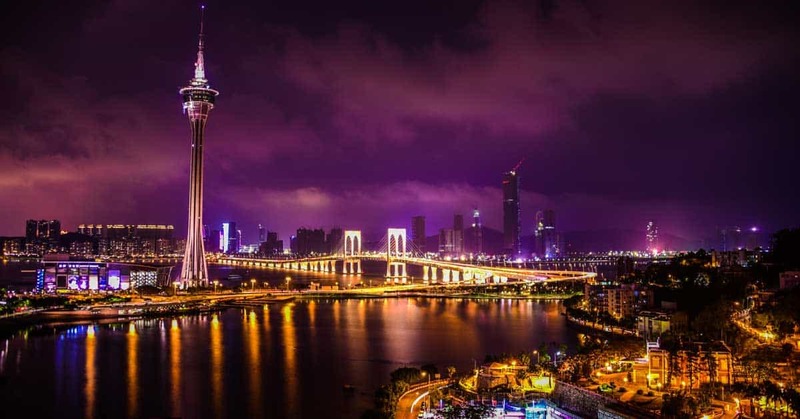 Macau is known as the Las Vegas of Asia and for good reason. Since the 1930s this island, located less than 40 miles from Hong Kong, has seen its casino industry balloon and become bigger even than Vegas. There are 38 casinos on Macau, but the biggest and boldest is the Venetian Macau. It has over 376,000 square feet of gaming space, an incredible 3,000 guest suites (definitely not rooms), a golf course, a Michelin-starred restaurant and four swimming pools – as well as the obligatory 330-shop mall facility, too. As spectacular as the Venetian Macau is, it is also operated by the Venetian group that has its own unbelievable casino back in Las Vegas. But in Las Vegas someone always has a bigger and better one than yours. The Bellagio is one of the most famous casinos in the world, immortalized both by Hollywood (see the film Oceans Eleven) and by its extravagant water fountain show. It has over 20 bars and restaurants, five swimming pools and a resident nightly Cirque du Soleil performance. While the Bellagio is pretty famous, even more so is the Casino de Monte-Carlo. Not only does it have the most elegant and recognised facade of any casino in the world, but it’s also one of the favourite hangouts of unbelievably high rollers. If you have a spare million or two to lose, then this is the place to lose it in. The interior is elegant and wealthy, as was the intention of its designer – the House of Grimaldi, the Royal Family of Monaco. It is also the setting for a book that introduced us to a true cultural icon, James Bond, in Ian Fleming’s Casino Royale. Rivalling the Casino de Monte-Carlo in beauty, if not stature, is the Park Hyatt Mendoza casino in Argentina. Housed in a 19th-century colonial Spanish property overlooking the main plaza of the city in the heart of Argentina’s wine region, it is a visual masterpiece with a 21st Century interior. Obviously its wine cellar is extensive, as is the food in the five restaurants, but what also makes it stand out is the local casino-favorite, punto y banca, a Spanish version of baccarat. Older than the Park Hyatt Mendoza is the Kurhous in the German Spa town of Baden Baden. Opened in 1824, it was designed by architect Frederick Weinbrenner in neo-classical style and dripping with expensive chandeliers. 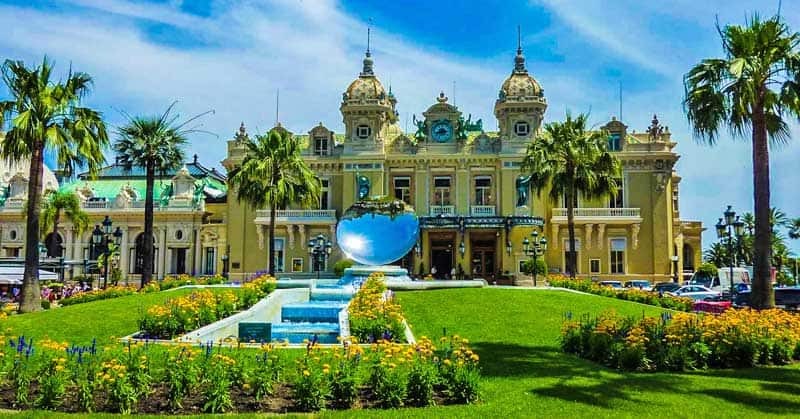 The casino has inspired many including novelist Fedor Dostoyevsky and actress Marlene Dietrich, who called it the most beautiful casino in the world. Its location in the Black Forest and the luxury spa it is attached to make it one of the most exclusive of places to play the house. Obviously, not all these luxury casino destinations will be in your travel budget. If you are looking to visit a casino on your next vacation then make sure to understand exactly what the house edge is and what games to play; if you click here, you can see what the payouts and the odds mean. 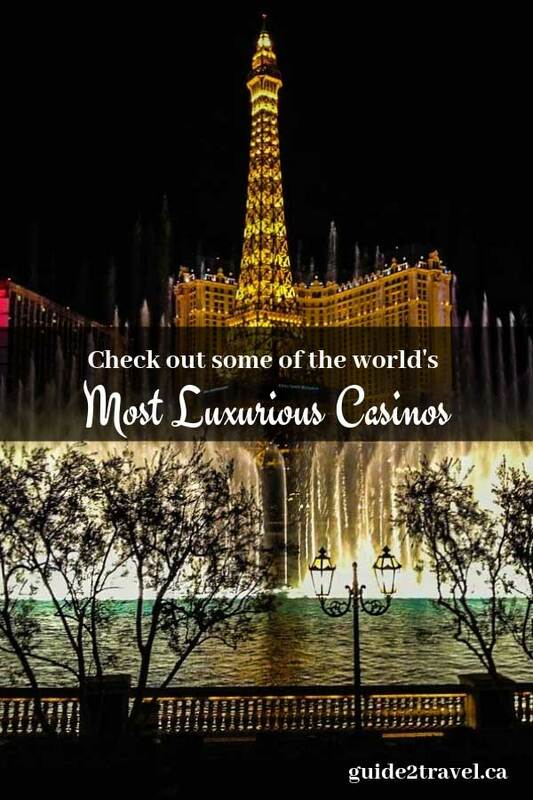 There are plenty of iconic casinos in the world to choose from. Many are also located in exotic and exciting holiday destinations. Getting to play at one of these casinos might be on your bucket list, but you don’t always need to take a trip to gain a casino experience. Always take a look online to learn before taking your first step inside a real-life luxury casino. You’ll feel a lot more at home and confident when you do. The Butterfly Conservatory and Journey Behind the Falls are just two great things to do after you see the amazing three waterfalls at Niagara Falls. The photo in the header above is of the Venetian Casino in Las Vegas, Nevada, USA. Save these pins to check out these casinos later!